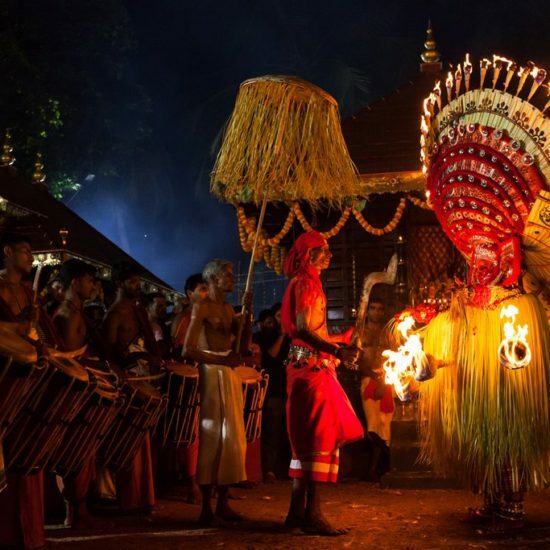 Theyyam Calendar Events : Theyyam Calendar is prepared by our team based on theyyam festivals details collected from around 1500 Temples, Kavus, Tharavadu Devasthanam which spread across Kannur and Kasargod districts of Kerala State. 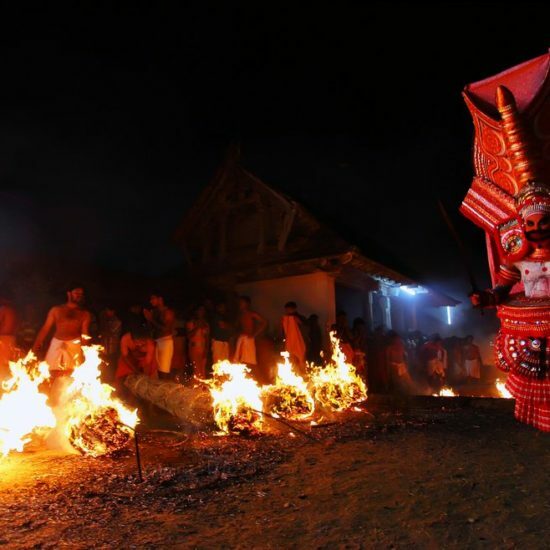 Those who refer this calendar, please keep in mind, theyyam not a arranged show or stage program, it is divine ritual performed as a part of temple festival or as a special prayer, so there is a chance for change in date, time, location etc., so we highly recommend you to get re-confirmation of theyyam festival dates shown in our calendar with our staff. 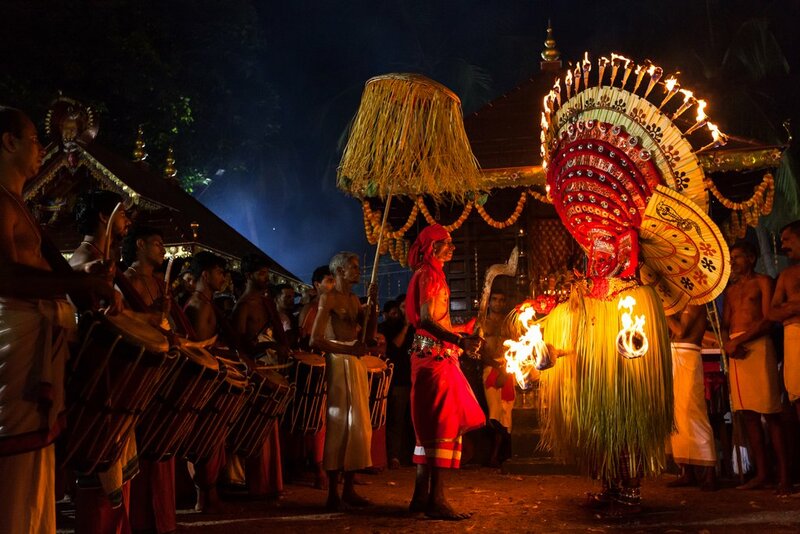 We have prepared this Calendar based on Malayalam Calendar, so there is chance for date change by 1 day up/down when it comes to English Calendar. 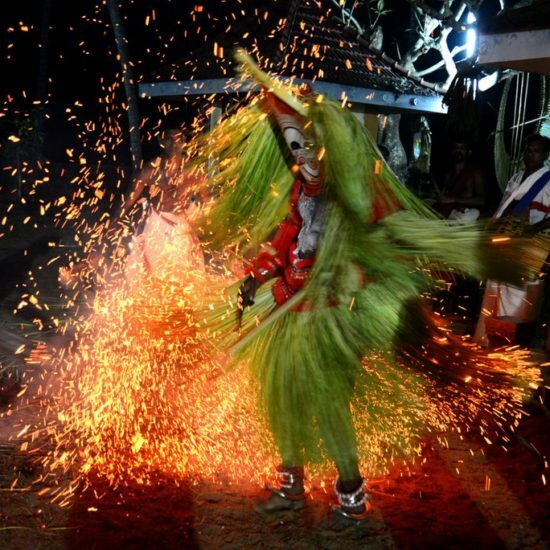 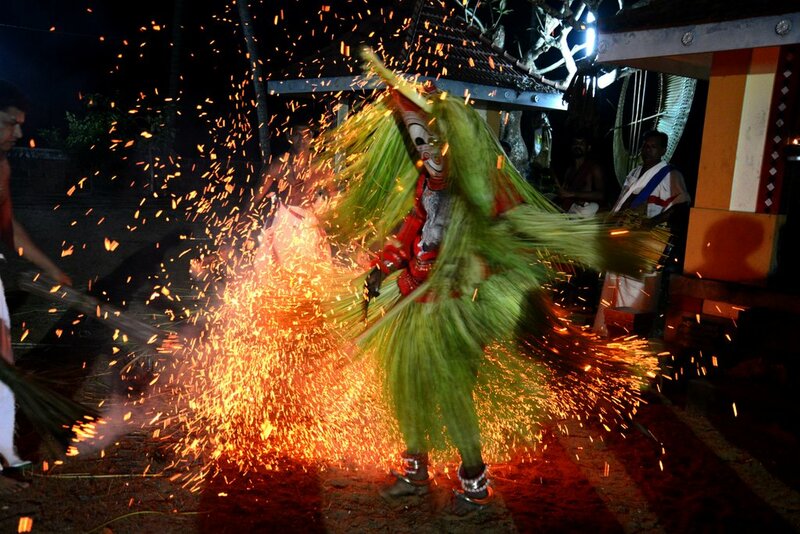 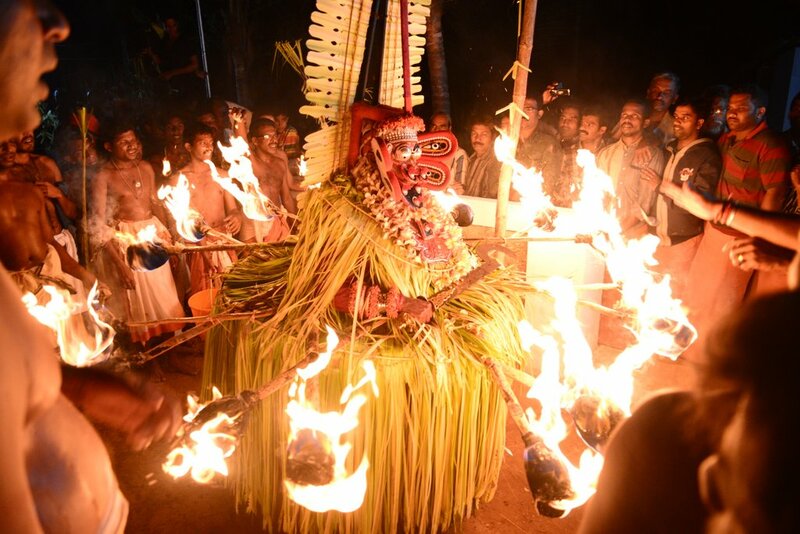 Information provided here are compiled by taking actual theyyam festivals performed in the last many years. 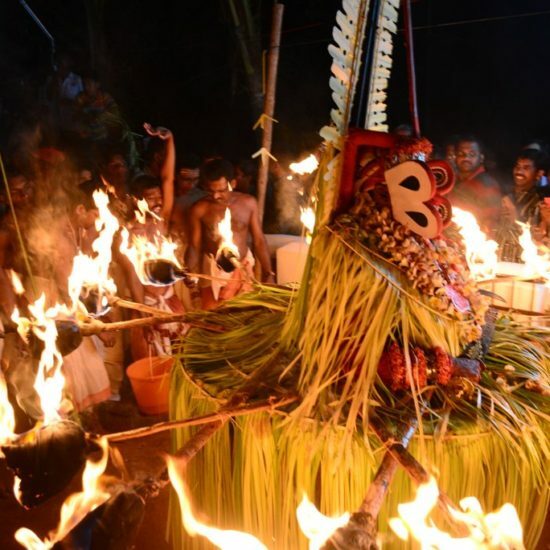 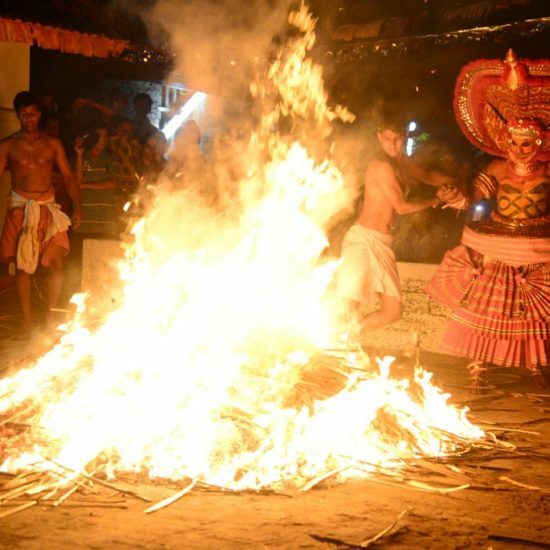 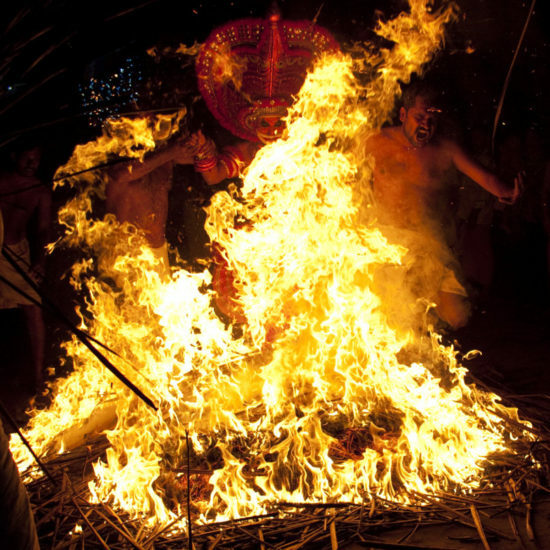 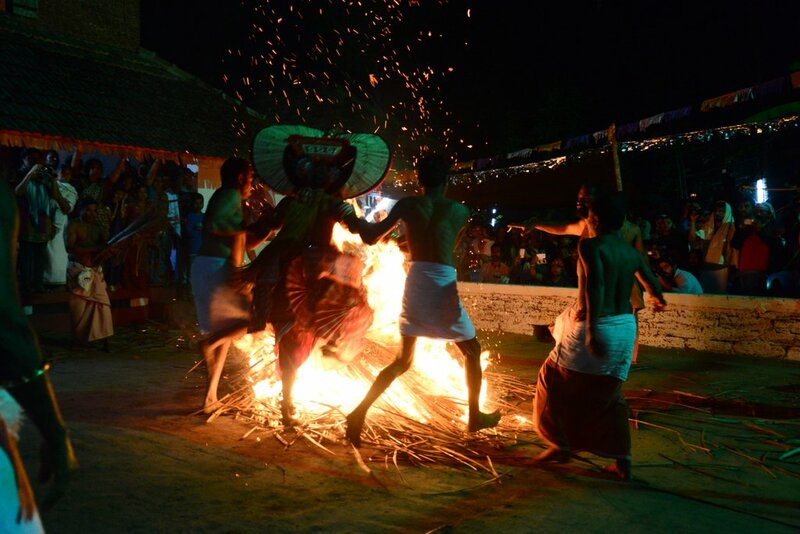 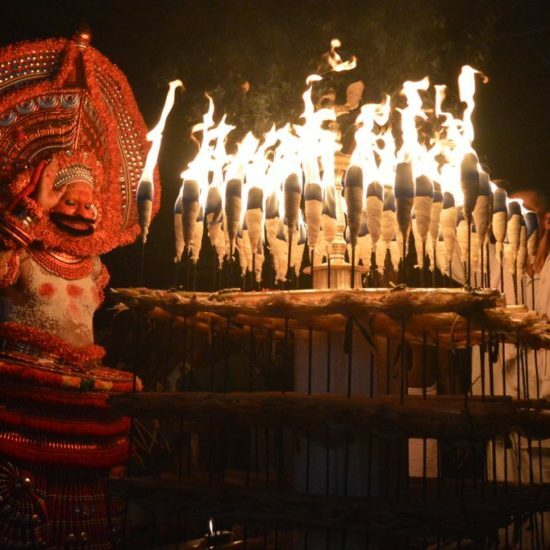 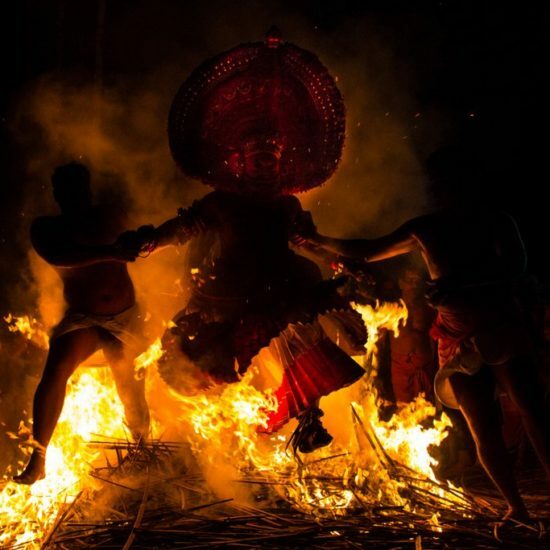 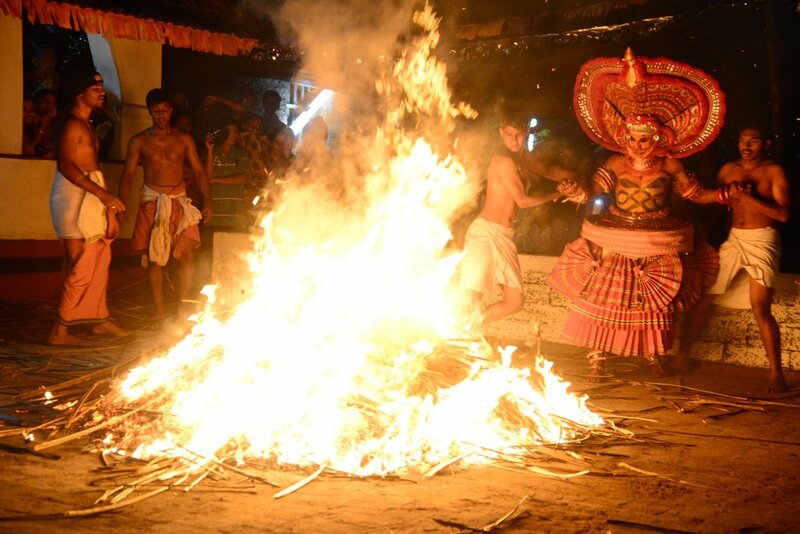 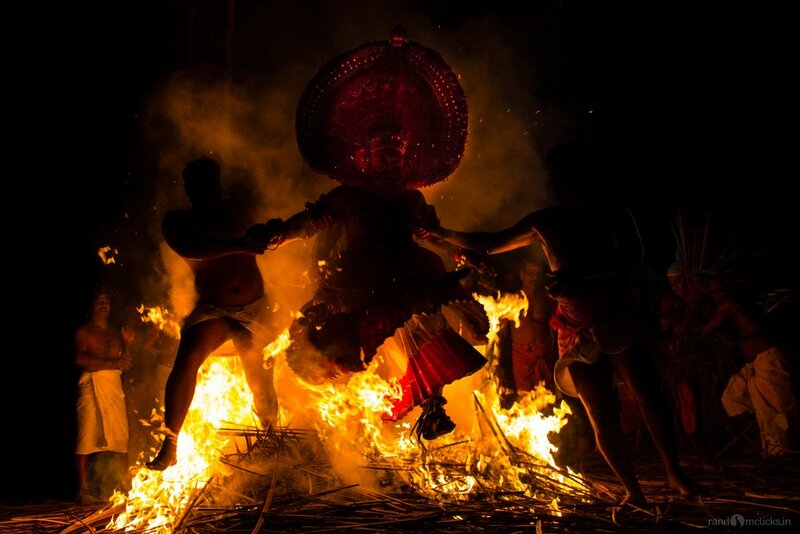 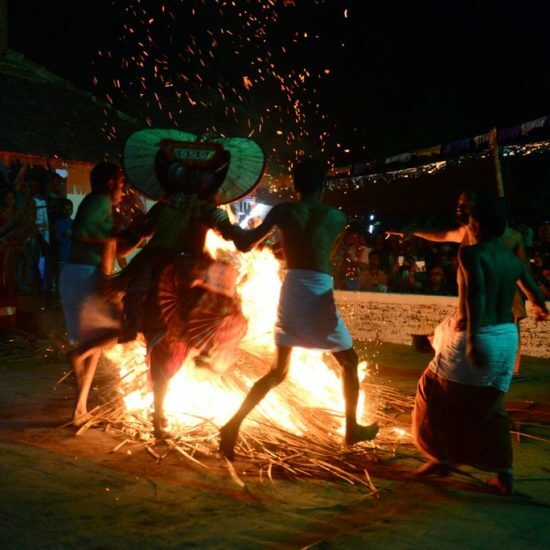 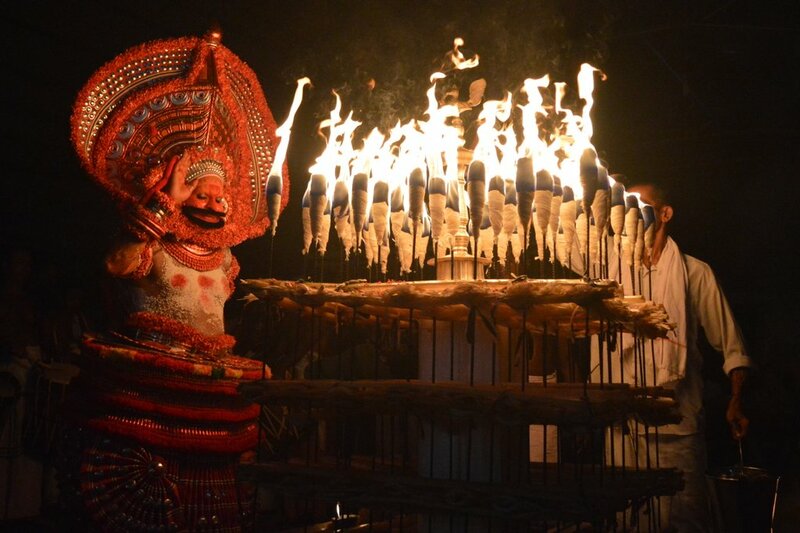 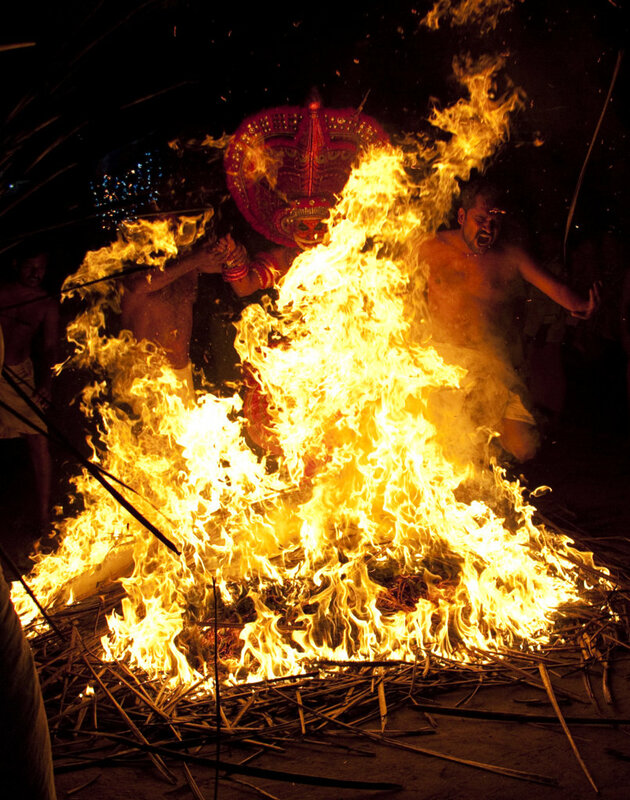 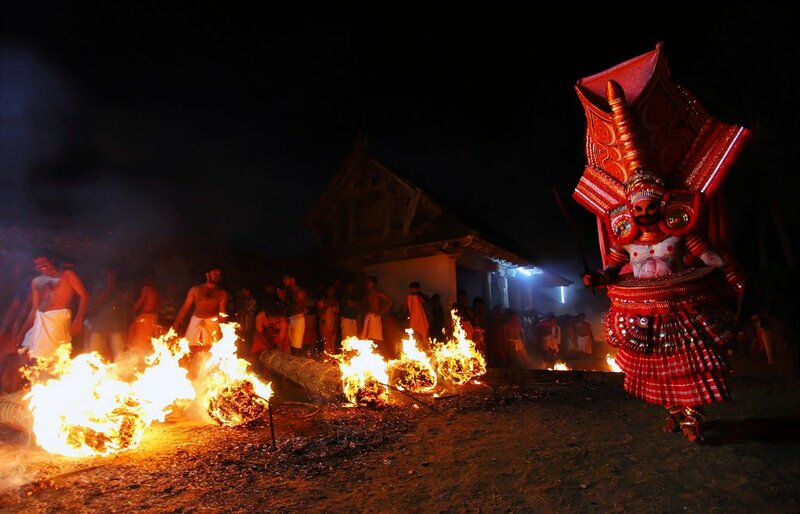 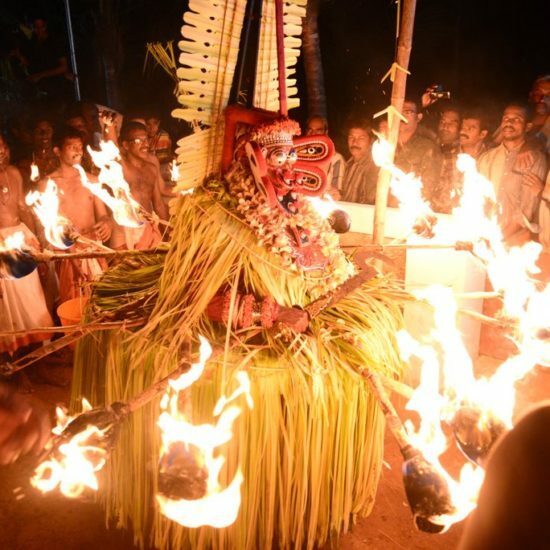 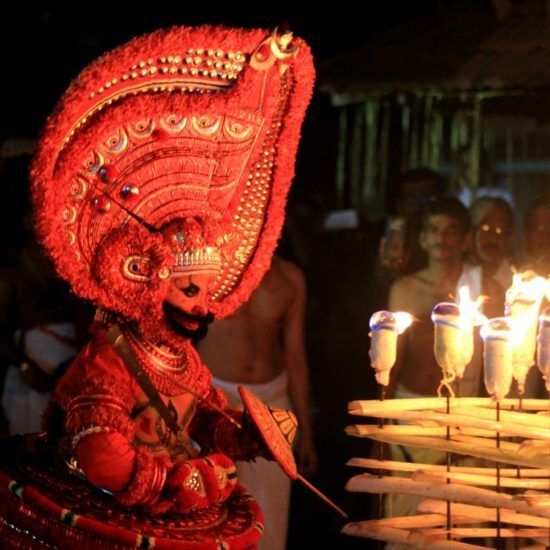 There is no guarantee, theyyam festivals will be performed in Kavus every year, yearly, there is no chance for theyyam festivals in particular year due to temple renovation or other reason. 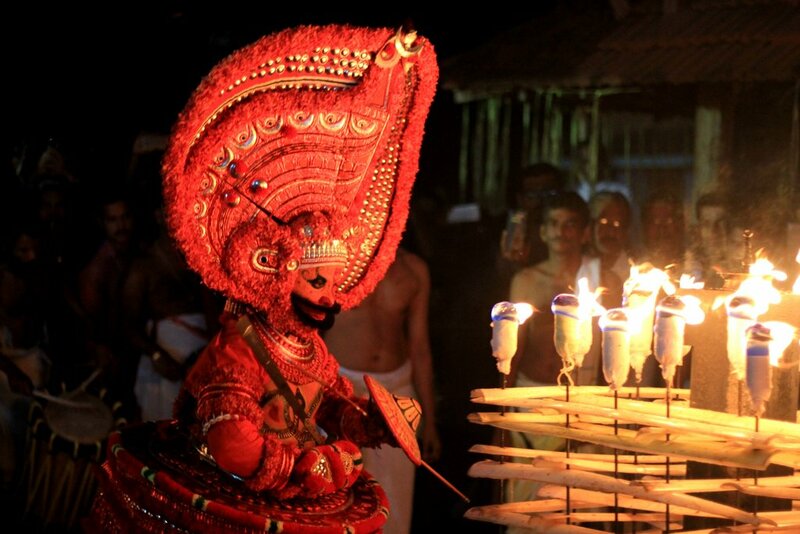 There are Temples / Kavus where theyyams are performed once in two or more years. 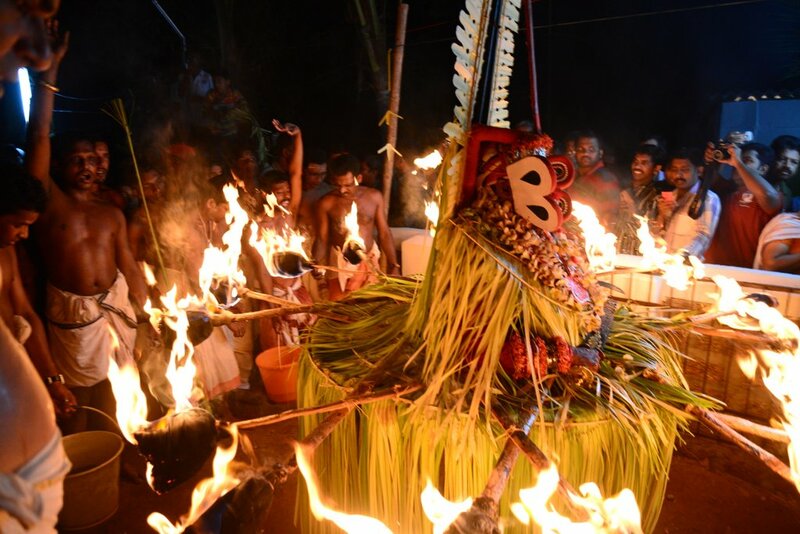 The peak time for Theyyam is November to March, during these days you will have options to visit more Temples to experience Theyyam. 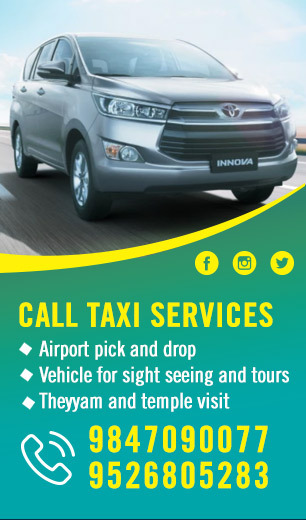 Please contact us for customized tour packages for Kambala (Buffalo) Race.